What is Jesus’ will for you? Statesmen, peace prize winner, scientists. People doing meaningful things. What is the purpose of your life? You see them in the news every day – statesmen, peace prize winners, scientists and humanitarian aid workers – people with a clear purpose in life. People who do something meaningful for humanity or at least for a portion of it. It is as if they are predestined for great tasks right from birth. What about you? What is the purpose of your life? If you have accepted Jesus you can ask more specifically: What does Jesus want me to do with my life? What does He want from the years I am to live here on earth? The answer is that you, with Jesus as Lord in your life, have a calling and a future that all the Nobel Prize winners in the world cannot hold a candle to! Jesus wants you to be His brother in the kingdom of heaven! Jesus had such a great longing for brothers, that He was willing to risk losing everlasting glory with God in order to get them. No one has ever risked more than Jesus to attain something. Because He loved people, He came to the world and opened a way back to God. When you think about the risk He took, it becomes clear that Jesus wanted you to walk on the way so that His desire could be fulfilled. Jesus was the first One to live on earth without sinning a single time – despite being “in all points tempted as we are” (Hebrews 4:15) and “in all things He had to be made like His brethrenThe “brothers” and “sisters” are those who are a part of the church of Christ. 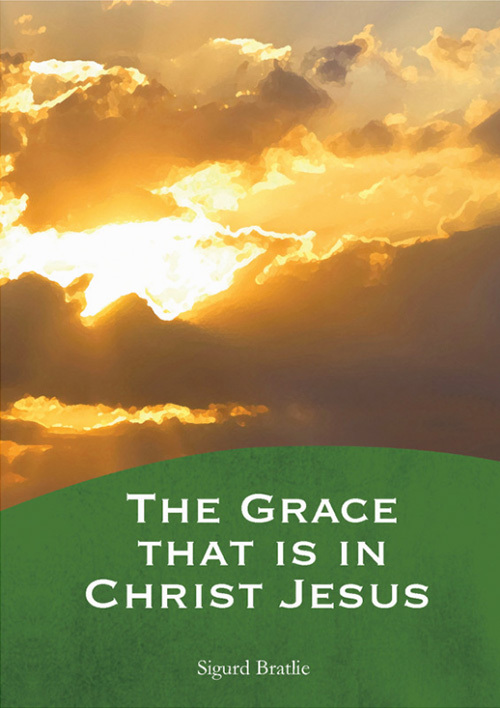 (Matthew 23:8; Matthew 12:50; Hebrews 2:10-18)... More.” (Hebrews 2:17) In this way, He proved that it was also possible for us to do the same – to follow Him in overcoming sin“Victory over sin” means that you do not commit conscious sin – that which you know would be sin at that time when you are tempted. It doesn’t mean that you are without sin, but that temptation is overcome before it can become sin. (Romans 8:37; 1 Corinthians 15:57; Revelation 2:7)... More. Jesus overcame all the sinful tendencies that He had inherited from His human nature without once giving in to them. Now you can do the same in your daily life, in situation after situation – step by step. Then you will become a follower of Jesus – a discipleA disciple is another word for a follower of Christ, one who is learning to be like his Master. As a disciple you follow Jesus Christ, who is the Master and by living like Him you become more like Him. (Matthew 16:24; 1 Peter 2:21-22)... More. As a follower of Jesus, you have been given important tasks and a great responsibility. Jesus gave His disciples this task: “Go therefore and make disciples of all the nations, baptizing them in the name of the Father and of the Son and of the Holy Spirit” Matthew 28:19. At the end is an important part of the Great Commission: teaching them to observe all the things that Jesus commanded! How can you do that without first living it yourself? Jesus did not mean that the disciples needed to start Bible schools or hold profound lectures – no, they were to keep the commandments themselves and thereby be good ambassadors of Jesus. That is what Peter meant when he wrote, “But you are a chosen generation, a royal priesthood, a holy nation, His own special people, that you may proclaim the praises of Him who called you out of darkness into His marvelous light.” 1 Peter 2:9. Now you can leave your own footsteps on the way that leads back to God. Perhaps someone close to you will find eternal joy with Jesus because you were a good ambassador for Him? You could not wish for a greater purpose in life! Is it possible to live like Jesus? We are human. We sinSin is anything that goes against God’s will and His laws. To commit sin is to transgress or disobey these laws. The lust to sin dwells in human nature. In other words, it is contaminated and motivated by the sinful tendencies that dwell in all people as a result of the fall into sin and disobedience in the garden of Eden. This... More. End of story? When Jesus was on earth most people did not know who He really was. This is usually still the case. Is it normal to be a Christian and afraid to admit it? Why is it so difficult to admit that you’re a Christian? Is it possible to stop feeling ashamed of this?